Brrrrrr! It’s starting to get cold! As the winter chill sets in, many of us dream of a warm fire to curl up in front of. In fact, Tasmanians are the greatest consumers of firewood in Australia, burning almost 6 tonnes each year! However, many of the trees felled for our fires provide homes to native species. This little ringtail possum and her joey were brought to Bonorong after the tree they were in was cut down. Sadly, mumma poss did not survive her injuries and joey will require long term support from a wildlife carer. At least 29 native Tasmanian bird species depend on hollows to nest in. Four of these are listed as threatened, including the critically endangered orange-bellied parrot, the endangered swift parrot and forty-spotted pardalote, and the vulnerable masked owl. Native mammal species, such as possums and bats, also rely on hollows to live in. Once fallen, trees continue to provide important hiding places and den sites for species such as echidnas, Tasmanian devils, quolls and lizards. Less ‘obvious’ species such as invertebrates, fungi, mosses, lichen, and micro-organisms (bacteria, small fungi, and algae) also rely on fallen trees for habitat. Further, fallen trees play essential roles in the recycling of forest nutrients and provide protection for numerous species during forest fires. In Tasmania, most firewood is collected by the user or by small non-commercial suppliers. Only a small proportion (approximately 17.8%) is sourced from forests managed for wood production and a similarly small number of firewood merchants seek permits for their work. The lack of regulation surrounding firewood collection means that the impact on wildlife each year is high. The spread of weeds, diseases and pathogens from one location to another by dirt on boots, clothing and vehicles. Danger to collectors posed by the use of chainsaws or overloaded vehicles. Environmental degradation such as increased sedimentation in streams, excessive rutting of roads and tracks, erosion, fuel spills, and escaped fires from camp fires. Property damage to fences, gates and roads. Air pollution from burning poor quality (green) wood. Fell living trees and leave them to dry for use the following year. Avoid bigger trees and logs that may have hollows (or that may form hollows if left to decay). Look for smaller trees and branches instead. Ask permission of the land manager to collect waste wood from recently harvested forestry coupes. Try to purchase wood from Firewood Association of Australia (FAA) accredited sellers or from a reputable wood yard. This will also give a point of contact if you have complaints about the load size or quality. Ask where your firewood has been sourced from. If the vendor cannot tell you where the wood has come from, look elsewhere. If available, purchase timber from plantations rather than from native forests or woodlands. Ensure that your firewood has not been collected from areas listed as critical habitat for endangered species. 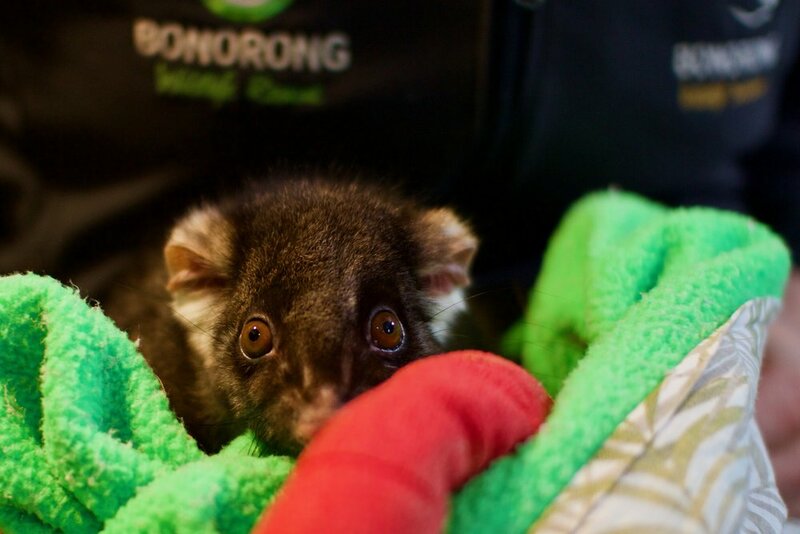 And of course, if you do find an injured or orphaned animal call Bonorong Wildlife Rescue 24/7 on 0447 ANI MAL. More information can be found in this handy flyer developed by our friends at NRM South. Photo courtesy of Liz Pulo. Newer PostHappy World Environment Day!